One reason for my recent absence was a work trip to Portland, Oregon. 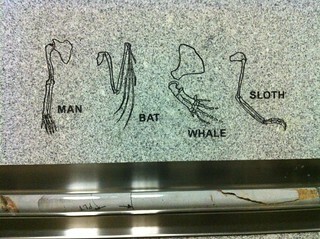 While I was there, I suddenly found myself in the most science-inspired light rail station I’ve ever seen. Washington Park station serves a few attractions: the zoo, the Rose Garden, the Japanese Garden, the World Forestry Center, and other locations. 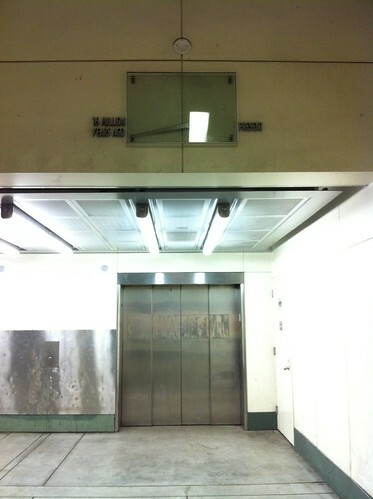 It’s the deepest subway station in North America, and one of the deepest in the world overall. 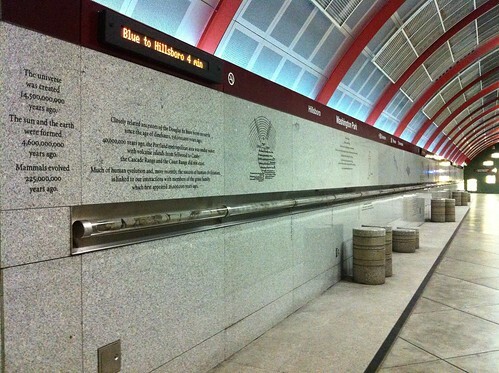 But even cooler: The entire station is inspired by science – mainly geology. 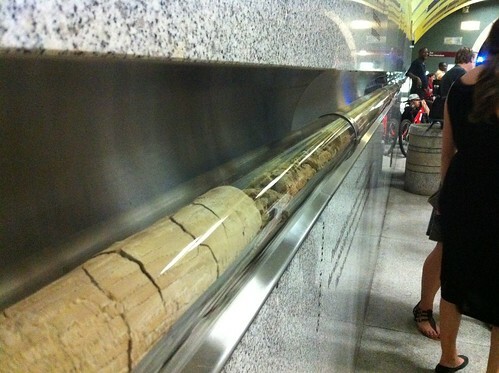 Along both platforms (in each direction) is a platform-length core sample, taken during construction, and above and below it are little science tidbits or illustrations. 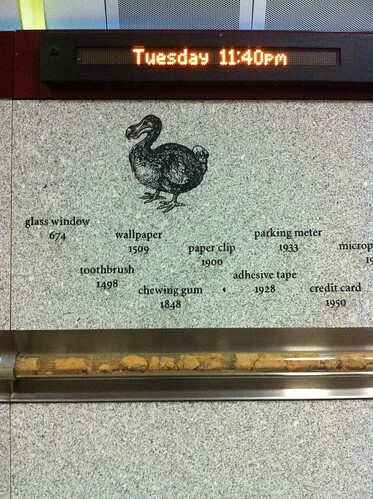 Difficult to see, but the elevator floor indicator says “16 million years ago” and “the present”. I have a Flickr album with a few other photos from this station, and if you’re curious what else I did in Portland, there’s also an album taken mostly above ground! 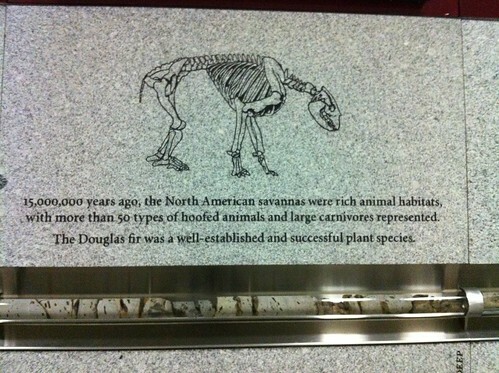 This entry was posted in Have Science Will Travel and tagged geology, light rail, portland, public transportation. Bookmark the permalink. It is one of the coolest stations I’ve ever been to. 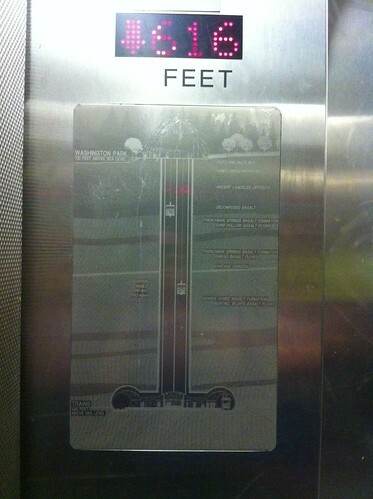 Did you see the mitosis image (it’s in one of the elevators, I believe).